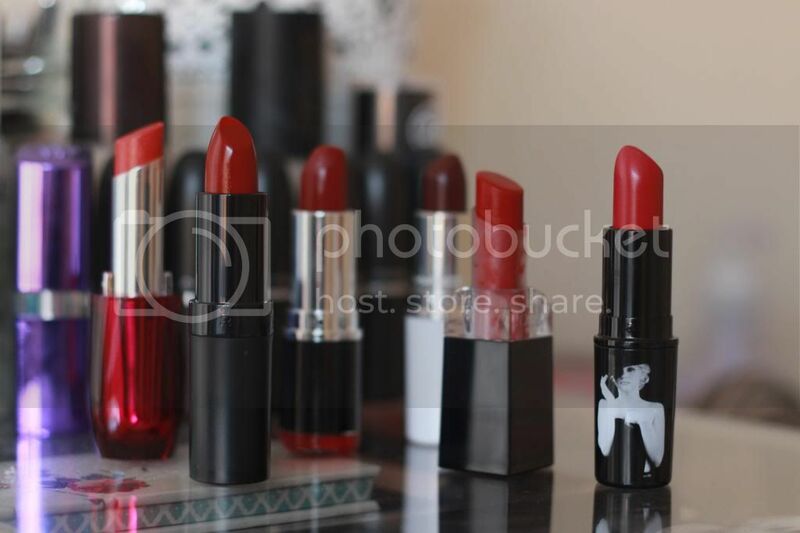 Pick of the red lipsticks // I'm loving | S J M W E L L - Fashion, Beauty & Lifestyle blog. 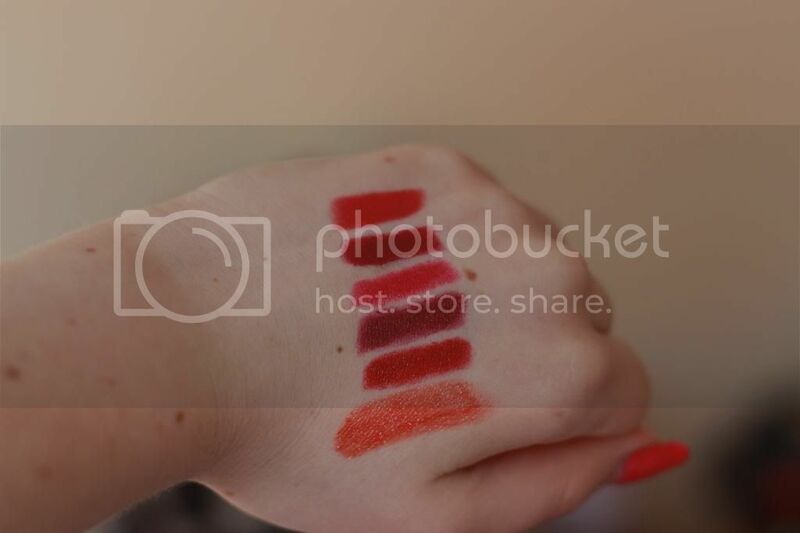 I never used to be a 'bright' lipstick wearer. If I ever wore any it would be a tinted lip balm or the nudest of pinks, the 'my lips but better' scenario. Alas, I'm breaching out after becoming obsessed with 40's/50's style (red lippy, a la Marilyn Monroe) and trying some different shades and I've actually been liking it. 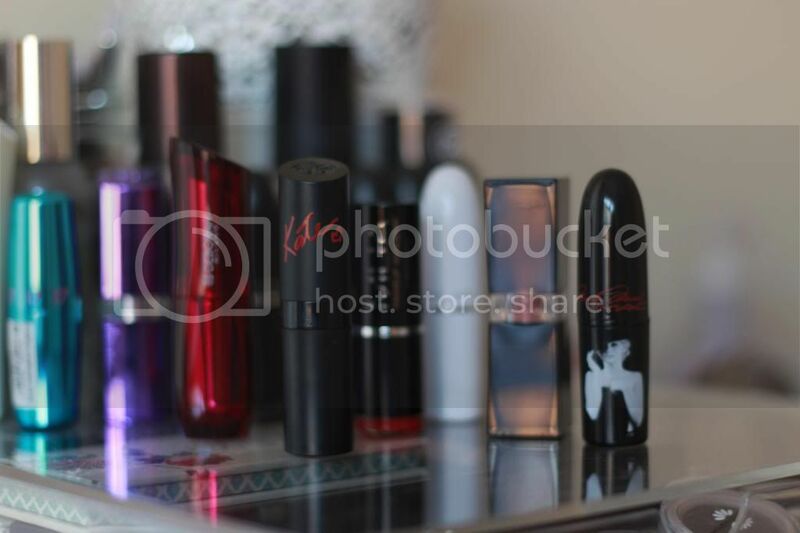 Even though I never used to wear many bright lipsticks, I certainly had a few kicking about in my makeup drawer. I apologise now for including 2 limited edition Macs, it's so annoying not being able to pick it up but they may be re-released! (What Joy!) was from a Christmas collection a couple of years ago and Love Goddess was from a Marilyn Monroe collection some time last year (my favourite ever pink and packaging) Love Goddess is more of a pink but I thought I'd throw it in as I absolutely love it. I also included 'What Joy' which is the perfect winter berry dark lipstick which I seriously cannot wait to wear in the colder months. The L'oreal studio secrets in '650 red' is such a good, true red. Along with the Kate Moss x Rimmel lipstick which is a little but darker, another perfect winter shade. I actually received the L'oreal lipstick from EastEnd cosmetics which for 30 years has been offering branded cosmetics, perfume and toiletries and reduced prices including Maybelline Babylips, Apocolips, L'oreal and Bourjois. Definitely worth having a peek as they have current stock which are in 'drugstores' now for a little bit less, always a bonus if you can save a few pennies. I also have a discount code for my lovely readers on my sidebar to the right. 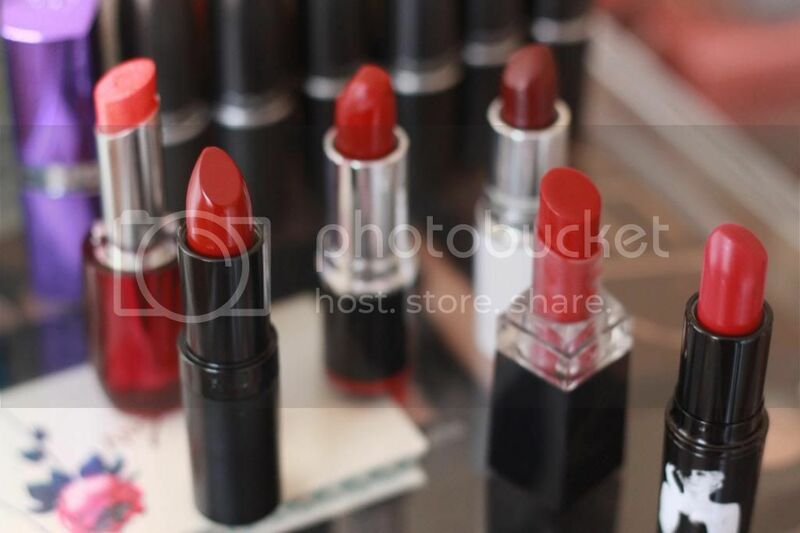 Do you love wearing your red lipstick? what's your favourite? I love red lipstick, it's my guilty pleasure! Some great reds there! Love the Kate Moss one! Great post! Can't wait to check out some of these colours. I LOVE wearing red lipstick! It's so much fun to see your favorite shades.